There’s an old adage that goes, “The best camera is the one you have with you.” That is never more true than for travel photography. As travelers, we have to compromise regarding what gear we pack for a whole trip, and then we have to compromise again with respect to what equipment we can pack on a particular day’s outing during the trip. If a flight is involved, we’re often obligated to leave much of our gear at home so as to avoid having to check our precious photography equipment. If a good deal of hiking, biking, or travel via public transportation is required, we may have to leave bulky or heavy items in the hotel room for the day. Fortunately, it’s never been easier to ensure we always have at least some backup solution to keep shooting even when a key camera, lens, filter, or tripod has to be left behind. The smartphone that nearly everyone carries with them at all times likely has a pretty darn good camera attached to it. My Apple iPhone 6s, for example, comes with a 12 MP camera, incorporating a decent if small sensor and a tolerable quality and moderately fast (f/2.2) lens. Even the smaller “selfie” camera has a 5 MP sensor. No one will confuse the images made using this camera phone with those made using my professional DSLR camera and collection of lenses, but in a pinch I can get acceptable quality shots with just the phone’s camera. The trick is understanding how to use your smartphone’s camera, or your small point-and-shoot camera, in the right way to capture the images, and then to post-process the images in such a way as to overcome the compromises built into the camera. Just yesterday I found myself on a family day trip to the annual Scottish Highland Gathering and Games without my professional camera gear. I made the best of things and shot all day with just my camera’s phone. I’m fairly pleased with the resulting images, even though of course they would have been better had I had access to my regular camera and a few choice lenses and accessories. Here are a few of my images along with some tips on how to get the best out of a not-so-great camera. First of all, learn how to control your phone’s camera manually so that you can choose what part of the image you want to be in focus and what part of the image you want to drive the exposure. Nearly all modern phone’s cameras allow you to touch the screen to select where on the image you want to set the focus and exposure. 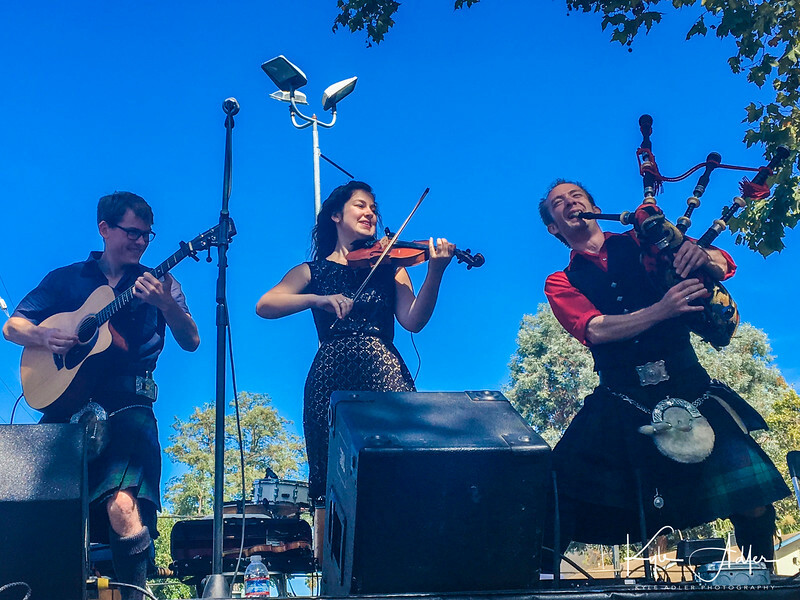 In this photo of a Scottish traditional music performance, I set the focus point on the fiddler to ensure sharp focus on the musicians. Then I adjusted the exposure by moving the vertical slider upward, in order to add some brightness to the image and avoid underexposing the backlit performers. Better yet, take full manual control over your phone’s camera by installing an app. There are good free and inexpensive apps for both iOS and Android. The one I use for iOS is called “Manual” and is available on the Apple App Store: Manual app. With such an app installed on your camera, you can specify manually exactly what settings you want to use for the focus point, aperture, shutter speed, ISO, flash, etc. This level of control was essential for a shot like the one below. 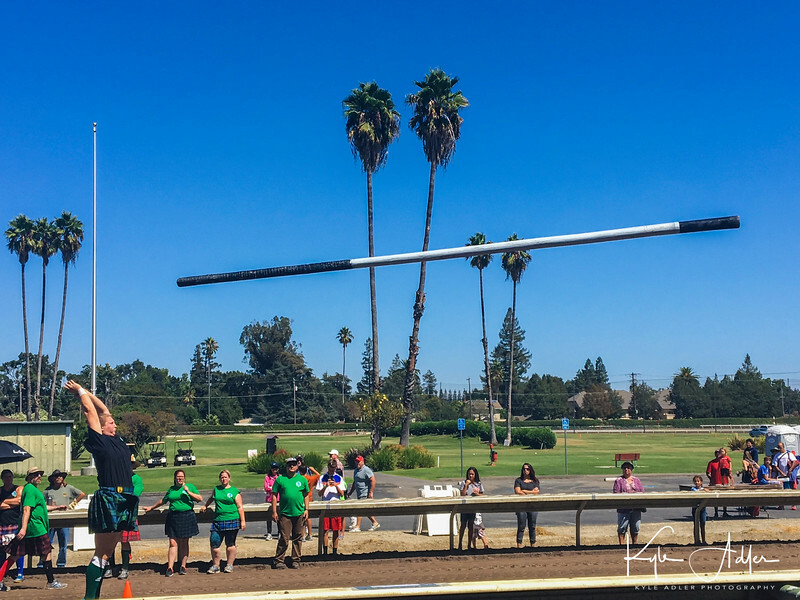 The tossin’ of the caber, a “heavy athletics” event in which the contestants throw a 75-pound tree trunk as far as possible, requires a fast shutter speed in order to freeze the rapid action. 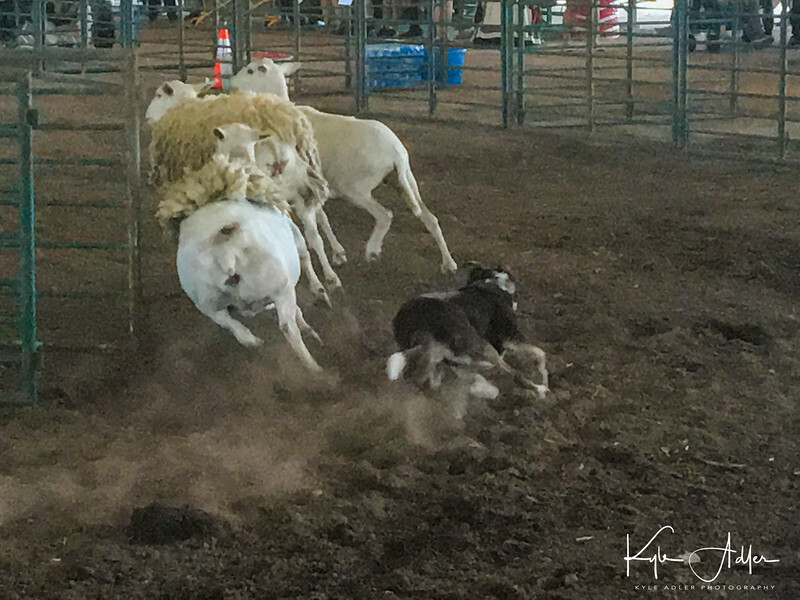 To capture this action shot of an indoor sheepdog trial, I had to set a fast shutter speed and increase the camera sensor’s sensitivity (ISO) to accommodate the quick action and the low-light setting. Again, the Manual app allowed for this flexibility. I also cropped the image during post-processing because the phone’s camera does not have a long enough focal length lens to zoom in closely on the subject. 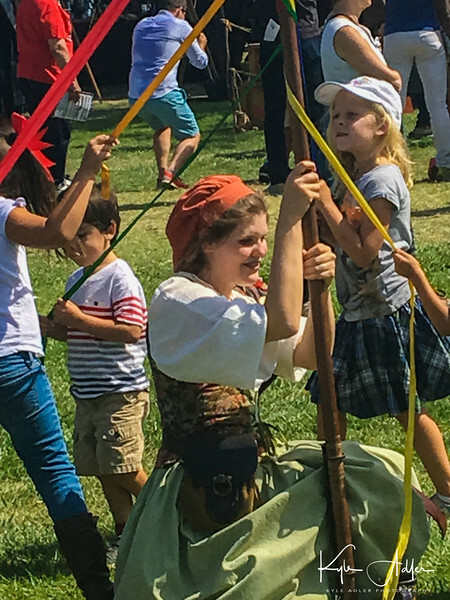 To capture this image of a girl teaching young children how to dance around the maypole, I had to use all the elements we’ve been discussing here. I used manual settings to choose a focus and exposure that were correct for this subject, forced the camera’s flash to fire to try to even out the harsh shadows across the girl’s face, and employed cropping and lighting adjustments during post-processing to achieve a pleasing composition. Next time you can’t or just don’t have the best equipment with you, use the tips we’ve covered here to make the best of a challenging situation. When did you have to make do with less than ideal gear for a shoot? How did you make the best of it? Do you have tips or tricks you can add? Please contribute your thoughts using the comment box at the end of this post.